Our specialist Model Railway sale held on 20th May 2015 started with a very busy viewing room, with keen customers queuing at the door at 8.00am! The sale itself began at 12 noon with the Real Steam section. 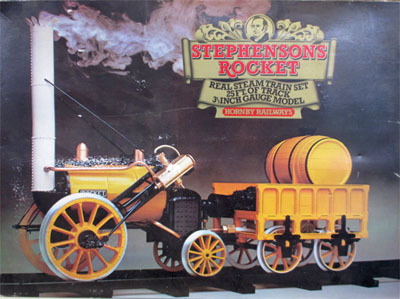 This Hornby 3½” gauge Stephenson’s Rocket, which had never been fired, sold above estimate at £177 including buyers' premium. O gauge trains again proved popular, with this modern ACE Trains A4 Pacific class BR 60016 ‘Silver King’ locomotive and tender, selling for £472. There were two more unusual Bond’s O Gauge locomotives in the sale, which sold for a very respectable combined total of £507. In the OO gauge section the ever popular Hornby Dublo models included this BR 34042 ‘Dorchester’ locomotive and tender, described as 'excellent in an excellent box', which achieved £259. 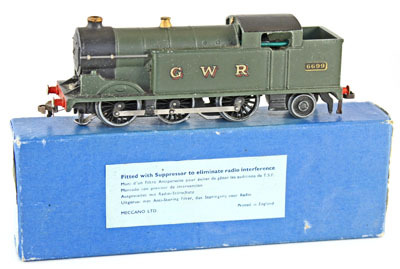 And this modest looking GWR 6699 tank locomotive, which sold for £212. This more unusual Hornby Dublo BR D9001 ‘St. Paddy’ diesel locomotive realised £188. 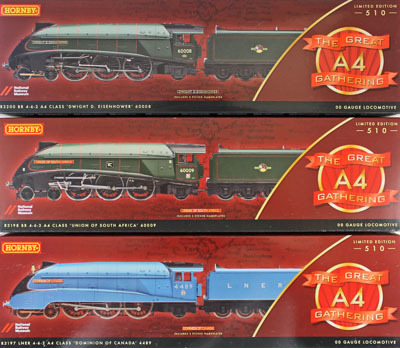 Bringing the Hornby section right up to date was Lot 639, a modern set of 6 locomotives, commemorating the Great A4 Gathering which sold for £1,032. Foreign manufactured locomotives were sought after in this sale. 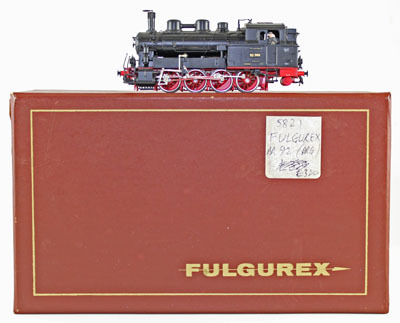 Examples included this Swiss made Fulgurex 0-8-0 tank model which achieved £200. 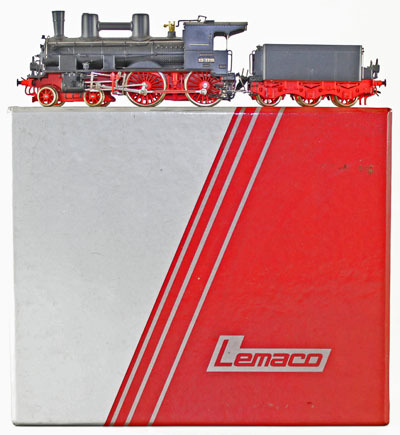 And also from Switzerland, this Lemaco DB 1711 loco and tender model which sold for £271. The Marklin section was also popular, the majority of the 30 lots offered selling above estimate. 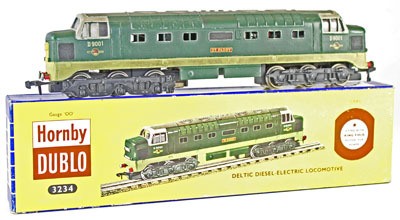 This diesel loco set No. 37629 achieved £224. This Trix Fine Art DB 001 BR 79 locomotive achieved £460, twice its estimate! Our next Model Railway auction will be held on Wednesday 15th July 2015. The full catalogue for this sale will be on our website in the next few weeks or keep an eye on our Twitter and Facebook accounts which will include updates of our latest auction news.